This morning as I sit here in my room, Bible open and my heart stirred from reading Nehemiah chapter 2, I hear little ones in the background singing and preparing for the day. Songs of praise to the Lord come from the shower, humming from another room, and snoring from the youngest ones bed. My heart is filled with joy as I hear these sounds. I think of the day that is ahead of us. There is much to do and we will be busy, but before that all begins I want my heart to be ready. What a accomplishment to just even be there. To think a servant, a captive to a foreign king and to be given such freedom to “go back home” and rebuild. Nehemiah’s focus was singular. Yes, the walls of Jerusalem were in ruins; yes, the city could not defend itself; yes, the city was a disgrace to the name of God and a laughing stock to the countries around her — the reputation of God’s name must be restored. The redemption of glorify of God’s name was more precious to Nehemiah than anything. God must be glorified. What do we “build” today? Or maybe…is there something we need to “re-build” today? As I hear these little ones preparing for their new day, it draws my mind and heart to think, “What do I build?” In Proverbs a wise women builds up her house, but the foolish one tears it down (14:1). I think of churches who have chosen to be lukewarm or even cold and are OK with it. Complacency is the norm. The idea of God is “when I have time” and the world sees and laughs. In Revelation it says that God “will spit us out” (3:16) those who choose to live accordingly. This is not building. This is not rising up. I think of marriages who do not honor God’s plan written in Scripture and find it to be OK (Gen. 2:24; Prov. 5: 18-19; Eph. 5: 22-33 just to list a few). When we obey and follow God’s plan what a glorious marriage it becomes — the two becoming beautifully intertwined as one. When God’s plan for marriage is NOT followed the world mocks for there is no difference between a marriage with Christ or without Christ; this not be. I think of families who tear each other apart in word and deed yet claim Christ (Eph. 4:32; Eph. 4:29-31; and so many more verses on our speech; Look them up!) Psalm 127:3-5 tells us how children are a blessing, an inheritance from the Lord…when our quiver is full — Oh the joy! What gifts from above! Treasure your family for when we don’t the world sees and laughs for we are no different. If Christ be in us, our speech, lives, actions should be different! Instead of squabbling, bickering, arguing, fighting, lying, sowing discord, instead of disobedience God’s Word and choosing to live a lukewarm or cold Christian life, instead of churches giving their Shepherd, God’s man, whom you called to Shepherd and lead you a hard time–follow his God-leading, follow and obey God instead and watch the Lord do great things! All the while we focus on the sinful issues of others or focus solely on ourself, there are lost souls who are dieing — and once dead — will spend eternity in the lake of fire, separation from God forever, because we were to self absorb and self centered as individuals and as churches. This ought not to be! We have lost our God-mission! We fail at church, marriages, family and individuals because we have missed the mark — the mark of the focus of ONE! It is that simple! If God is not our first and foremost number one focus in this life then we have grown God-complacent. Nehemiah was not such a man. He was truly God-focused. Our prayers should be “Lord break my heart for what breaks yours!” instead of sitting on the throne of our life. Want to succeed? 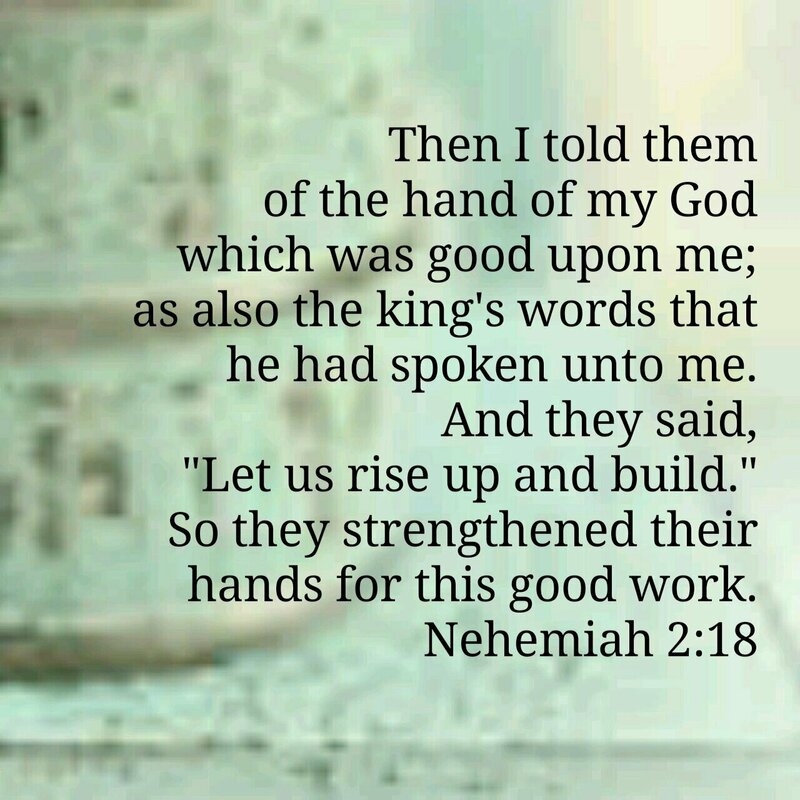 Be like Nehemiah, BE GOD-FOCUSED in every area of life! It is really that simply. Our actions is where the rubber meets the road…we have a choice! It is not to late to build or rebuild! ← Beware! He Doesn’t Wear a Red Suit! This was awesome! Very well said! Thank you for the post I am sharing it.